While this short is official NSW supporters wear, it’s equally at home on the training field and features our VapoDri moisture wicking technology to boost evaporation of sweat while you work. Canterbury's Vintage Knit Short is designed for training comfort and style. It has an elasticated waist for greater freedom of movement and a longer leg length and pockets in the side seams for a stylish casual look. It also features our patented VapoDri technology, which boosts the evaporation of sweat and wicks moisture away from the skin. The quick drying fabric allows for a reduced wash-to-wear time, making these shorts perfect for daily workouts. 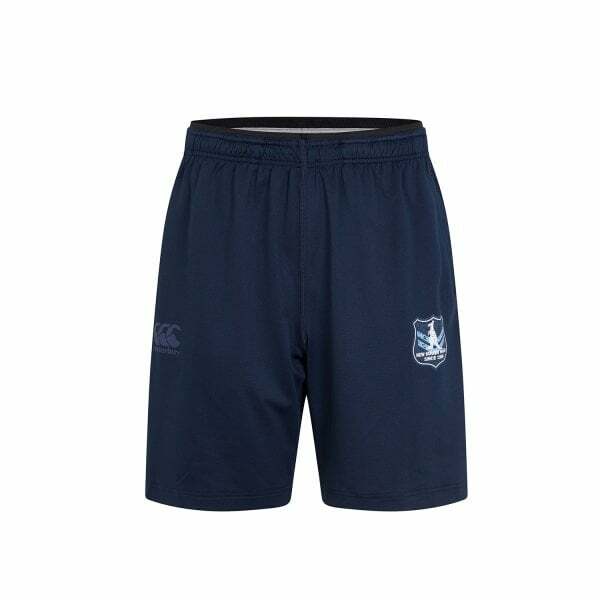 Finished with a washed back printed Blues logo on the leg to show your support for NSW at State of Origin, these quality shorts are ideal training and supporters wear, suitable for wearing both on and off the field.